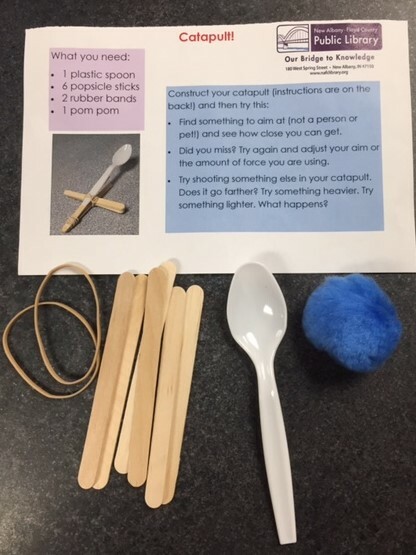 Source: One of my librarians did a catapults program over spring break! · Find something to aim at (not a person or pet!) and see how close you can get. · Did you miss? Try again and adjust your aim or the amount of force you are using. · Try shooting something else in your catapult. Does it go farther? Try something heavier. Try something lighter. What happens?